At the recent meeting of FBK’s Economic Club well-known experts have discussed whether the upswing in the Russian economy is possible, whether there are enough resources for that and which steps should be taken to provide the basis for the explosive growth. The meeting was arranged to present an analytical report titled “An Upswing in the Economic Growth” prepared by FBK’s Strategic Analysis Institute that explains in which case the economy is considered to be on the upswing, whether this is in line with the criteria incorporated in the May Decree and whether it is possible to meet these criteria in today’s Russia. While presenting the report, Igor Nikolaev, Director of FBK’s Strategic Analysis Institute, said that for the last thirty years many countries, both developed and developing, have been growing at a rate above world average. The reasons for the economic growth in such countries included low tax burden, the lack of adverse geopolitical factors, high foreign investor confidence, economic liberalization, market reforms and reduced politicization of the economy. “It is no use to count on an upswing in the economy without these key factors. They are missing in Russia. Therefore, it is impossible to achieve the goal to become on the five largest economies in the world by 2024 with the economic growth rate above world average,” Igor Nikolaev said. 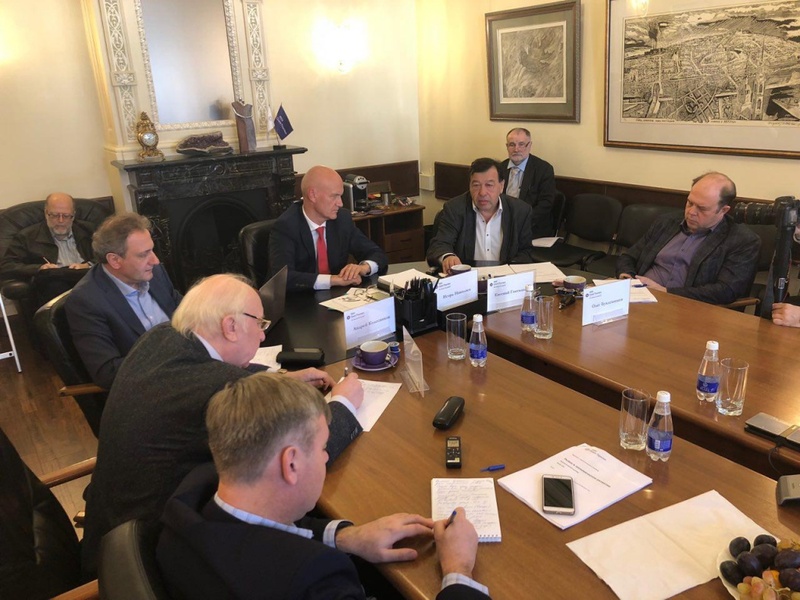 Evgeniy Gontmaher, Member of the Board of the Institute of Contemporary Development, agreed with this opinion and gave explanations to certain provisions of the May Decree. He is sure that natural increase in population, a significant increase in disposable income and an increase in the life expectancy are unattainable by 2024. “The Decree lacks the most important thing: economic growth can be fuelled only by investments in human capital. That is why we will face stagnation instead of an upswing, which means worse quality of life for us,” Evgeniy Gontmaher said. Nikita Maslennikov, Advisor at the Institute of Contemporary Development, added that based on the forecasts GDP breakdown will remain unchanged for six years. This means that the economic growth rate will not exceed 1.5-2%, which is not enough for an upswing. “So we need structural reforms, which should boost this economic growth. And those who carry out a reform should be in regular dialogue with everybody who is affected by this reform. But past experience has proven that the public administration is not ready for that. Just look at how retirement age was raised — a complete lack of communication is evident,” he said. Oleg Buklemishev, Director of the Economic Policy Research Centre at Moscow State University, named three conditions for economic growth, namely the availability of resources, reasonable economic policy and people’s belief that tomorrow will be better than today. “But not everything can be measured with GDP. For example, it was certainly high in the USSR but it did not make the life of simple citizens better,” Oleg Buklemishev said.